On the 14 November 2011, the Federal Republic of Nigeria joined the SUN Movement with a letter of commitment from HE C. O. Onyebuchi Chukwu, the Minister of Health. At the time, Nigeria had recognised the role of nutrition as a development issue and had committed to addressing malnutrition with the adoption of a National Health Strategic Development Plan which recognises nutrition as an important component. 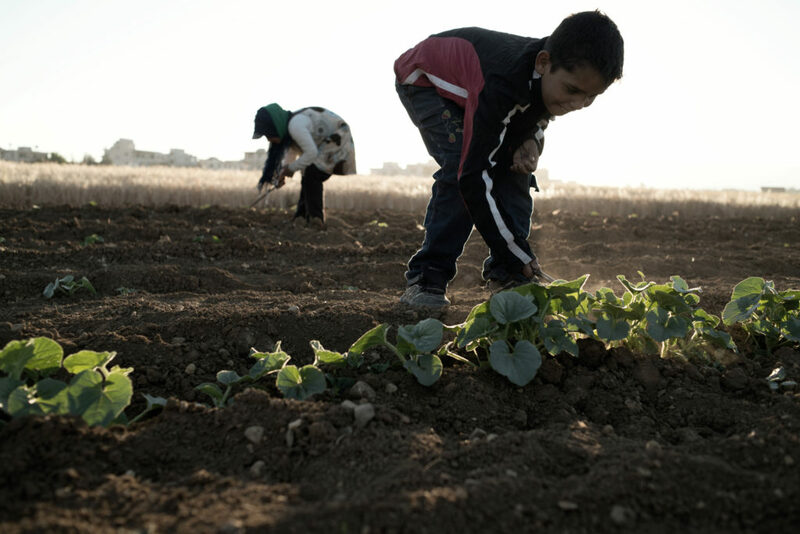 To recognise the multi-sectorality of nutrition, the National Policy on Food and Nutrition (2001) and National Plan of Action (2004) were established to ensure implementation of the policy was coordinated with clear roles and responsibilities for each related sector. How nutritious is your product? The fight against nutritional deficiencies can only be won with a multifaceted approach. It calls for individuals, food producers and the government joining hands together to ensure success. In the last few years, there has been some heightened level of nutrition awareness amongst some Nigerians. The National Committee on Food and Nutrition (NCFN) meet quarterly to review and align activities of relevant ministries, departments and agencies with the National Food and Nutrition Policy. 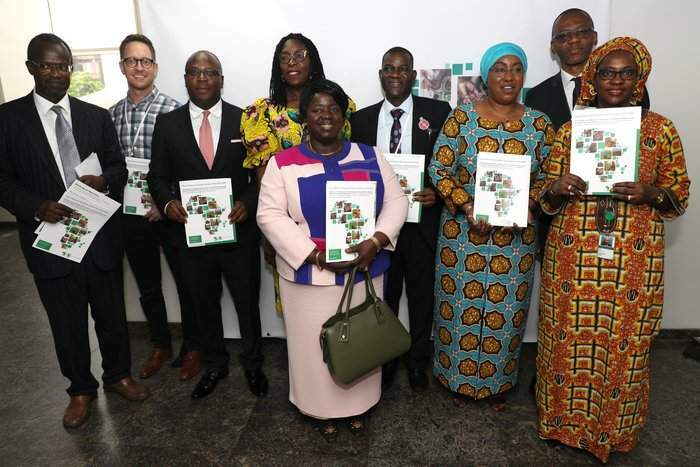 The multi-stakeholder platform (MSP) brings together representatives from six SUN Networks including the Government, United Nations agencies, donors, the SUN Business Network – which was set up in 2016-2017 – Civil Society Scaling Up Nutrition in Nigeria (CS-SUNN) and academia. The Office of the Vice President, Ministers of the Federal Government and Governors of State Governments (Kaduna and Kano) have been increasingly involved in nutrition-related issues in the country. While the networks have demonstrated the capacity to track and report on their own contributions and achievements, efforts are required to coordinate better and deliver effective results against agreed work plans. Government body responsible for scaling up nutrition and is responsible for bringing together various government ministries and departments. The Nutrition Partners Forum also includes both government ministries and development partners. In Nigeria, the Nutrition Partners Forum is chaired by the Head of the Department of Family Health. It is the multi-sectoral, multi-stakeholder platform that engages several line ministries including Health, Education, Agriculture, Women Affairs, Finance, Information, Science & Technology, Water Resources and the National Planning Commission. External stakeholder groups are also engaged with representatives in the forum from the private sector, national and international non-governmental organisations, United Nations (UN) agencies, donors, academia and the media. The Nutrition Division in the Federal Ministry of Health is the national convening body that coordinates implementation of nutrition related programmes and is responsible for scaling up nutrition. The National Committee on Food and Nutrition, convened by the National Planning Commission, is currently in the process of being renewed and strengthened. There is a UN coordinating mechanism in place that brings together the UN agencies. A Donor Network exists with the Department for International Development and UNICEF as Donor Convenors. The Civil Society (for) Scaling Up Nutrition in Nigeria (CS-SUNN) is an alliance that mobilises civil society organisations to achieve reductions in malnutrition through advocacy, policy support, resource mobilisation, public awareness, program, budget and implementation tracking, and campaigns. 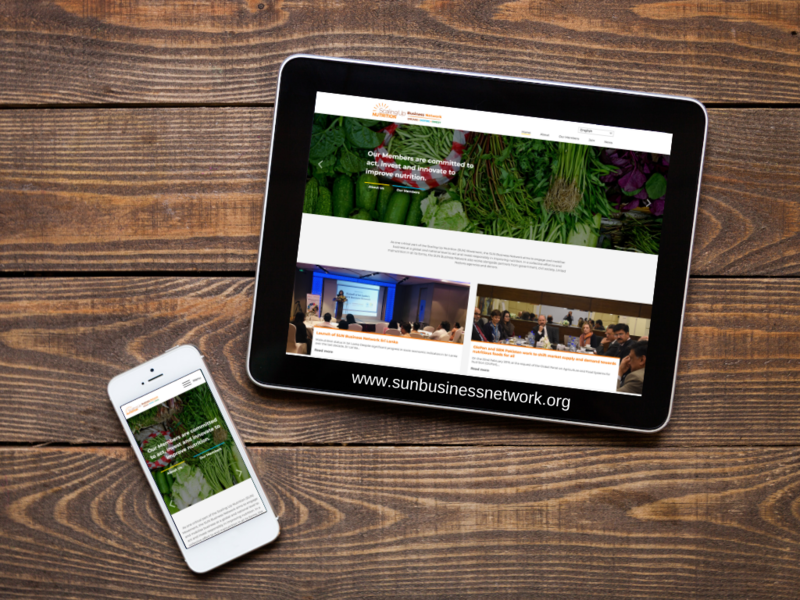 The SUN Business Network is broadening to include more business partners from different sectors including food, agriculture, telecommunication and banking and engages with small and medium-size enterprises. A SUN Business Network Coordinator who liaises with the Government and other networks has been appointed. National policies and plans have been developed through a consultative process of engaging partners. National advocacy and communication strategies have been developed and translated into the local language. The National Agency for Food and Drug Administration and Control (NAFDAC) regulates the Code of Marketing of Breast-milk Substitutes. The Standards Organisation of Nigeria guide food manufacturers and maintains sanctions for products based on quality. The implementation of 18 weeks’ maternity leave for mothers was fast-tracked by the Ministry for Labour and Employment, following the Abuja Breastfeeding Declaration in 2016. The National Nutrition Strategic Plan 2014-2018 includes priority nutrition interventions and the strategic direction for nutrition in the health sector for the period 2014 to 2018. The National Policy on Food and Nutrition (NPFN) was revised in 2013 and awaits Federal Executive Cabinet approval. The National Plan of Action on Food and Nutrition was adopted in 2014 by the National Committee on Food and Nutrition to translate the goals, objectives, and strategies articulated in the NPFN into implementable activities and projects. The National Plan of Action on Food and Nutrition (NPAN), was adopted in 2014 by the National Committee on Food and Nutrition to translate the goals, objectives, and strategies articulated in the NPFN into implementable activities and projects. The National Food and Nutrition Policy (NFNP) which launched in 2002, has been updated and submitted to the Federal Executive Council for approval. 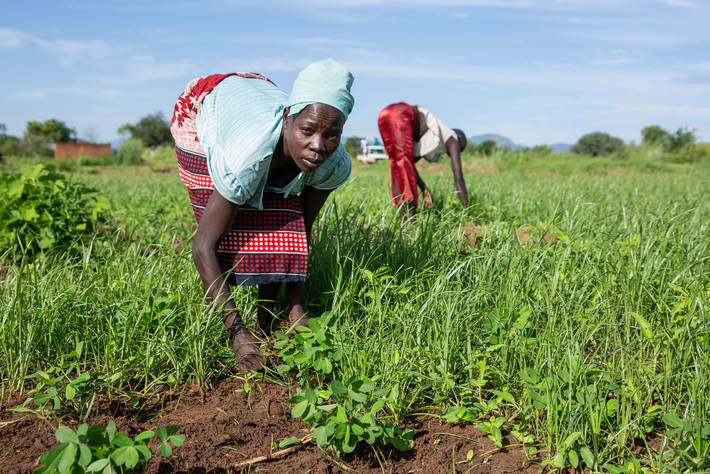 Actions that help to improve food and nutrition security have been integrated into the National Strategic Action Plan (2012) for the implementation of the Great Green Wall Programme. 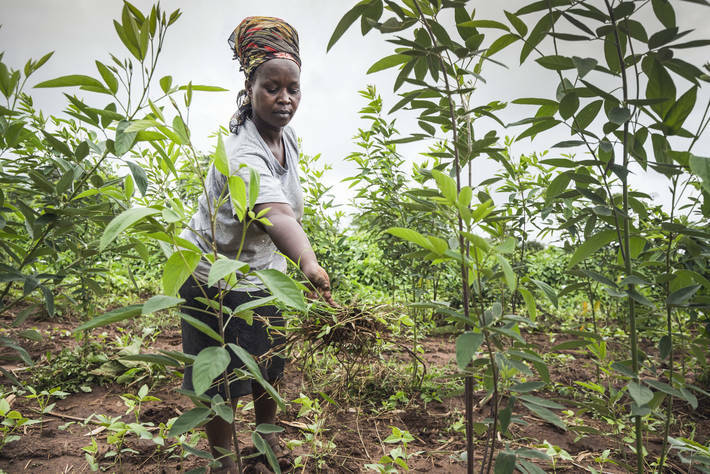 The programme is being implemented with the support of the African Union Commission and focuses on the restoration of ecosystems to improve livelihoods. A comprehensive legislation is in place for the implementation of the International Code of Marketing of Breast Milk Substitutes. Fortification of wheat flour, maize flour and vegetable oil is mandated by law and Universal Salt Iodisation certification was achieved in 2005. UN actions are mainstreamed through the UN Development Assistance Framework and the Donor Network have a coordination plans to facilitate coherent activities. The institutional structure for the coordination of policy implementation and individual stakeholder roles are identified in the revised National Food and Nutrition Policy. The Ministry of Budget and National Planning (MBNP) commissioned a mapping of the nutrition stakeholders’ activities in-country, and the CS-SUNN mapped actions of civil society associations. Efforts are being made to strengthen the nutrition surveillance system. Nutrition-relevant ministries, departments and agencies have annual work plans and have recruited nutrition desk officers. 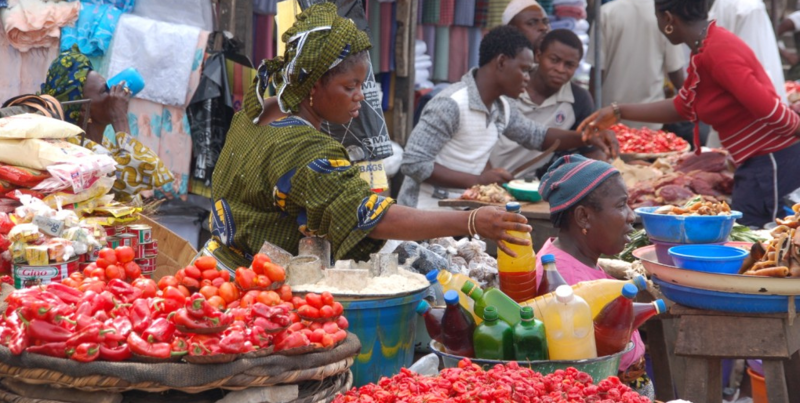 The revised National Food and Nutrition Policy is Nigeria’s Common Results Framework. In addition to the costed National Nutrition Strategic Plan of the health sector, a costed strategic plan of action for Agriculture is being developed to be in line with the newly approved policy. The SMART Methodology used for the National Health and Nutrition Survey complements the Multiple Indicator Cluster Surveys and Demographic and Health Surveys, to populate the state scorecards for advocacy on nutrition. The NPAN is the national Common Results Framework (CRF) by which all supporting stakeholders in Nigeria are aligning behind. The plan includes a monitoring and evaluation framework. When the updated NFNP is ready for dissemination, stakeholders will be able to further align behind the NPAN. The current NFNP is being tracked and this will continue once it has been upgraded. There are plans to develop a system for regular tracking and reporting to the multistakeholder platform. The availability and utilisation of capacity assessment instruments are not yet in place and capacity building for efficient monitoring and evaluation is required. The State Governments of Kano, Kaduna, Gombe, Sokoto Bauchi have made financial commitments on to scale up nutrition and have redeemed their pledges. The engagement of a Parliamentarian, Senator Lanre Tejuoso, led to an increase in the budget for Health and Nutrition Emergency Response Project (HNERP). The budget allocation for nutrition in the Federal Ministry of Health (FMOH) from 400 million Naira (USD 1.1 million) to 1.9 billion Naira (USD 5.3 million). The USD 350 million loan from the World Bank for a period of five years has triggered the mobilisation of additional resources from other sources such as the Dangote Foundation. In 2015-16, the tracking of budget allocations has been spearheaded by the Ministry of Budget and National Planning in collaboration with the Civil Society Scaling-Up Nutrition in Nigeria (CS-SUNN) Alliance and Save the Children International. The National and State Medium Term Expenditure Framework, National Strategic Health Development Plan and the National Health Act identify budget demands and potential sources of domestic financing from the consolidated revenue. In 2015- 16, increasing domestic contributions with specific nutrition budget lines at national and state level were observed. The NPAN has been costed by the World Bank. Nigeria has recognised a need to put in place arrangements that allow for further financial assessment of the cost to scale up nutrition. The mapping of the nutrition allocations within the public budget has allowed better planning of scale up of interventions. The costed information is also used for advocacy with relevant members of the platform to supporting the required activities and interventions. An increase of resource allocation to nutrition to fulfil funding gaps is a priority for Nigeria.